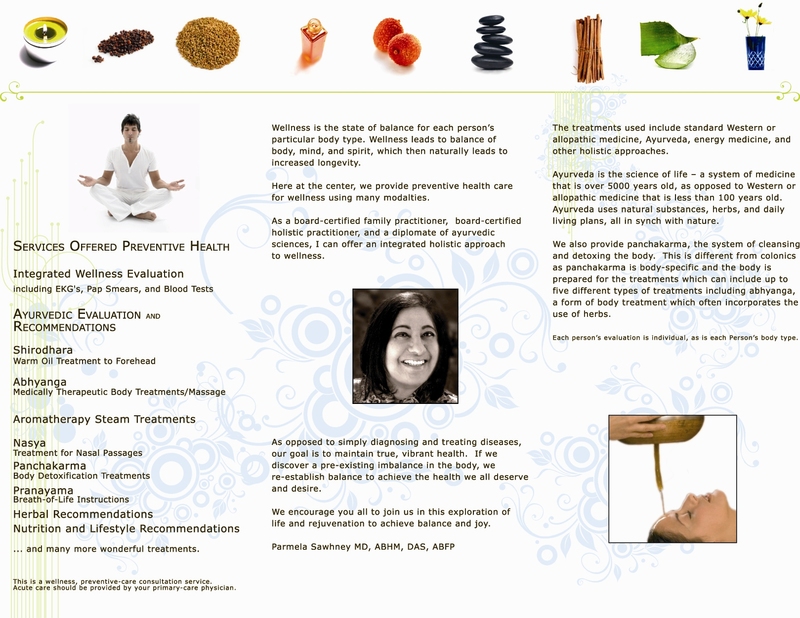 What Is Ayurvedic Integrated Wellness? Wellness is achieved through prevention and is the focus of our office. We use many tools,both ancient and cutting-edge to help guide each individual person to wellness. One ancient science we use is Ayurveda, the science of life. Ayurveda dates back over 5,000 years. It is a time tested health system that follows nature as its guide. If an individual is out of balance, natural treatments and herbs are recommended to restore balance and health. Western medicine is also useful for early detection through the use of pap smears, blood tests, recommended lifestyle changes, we also include proper breathing techniques will be discussed for each individual person. We are a small office full of caring and compassionate people. We are highly dedicated to our patients, and to providing the best quality of care.